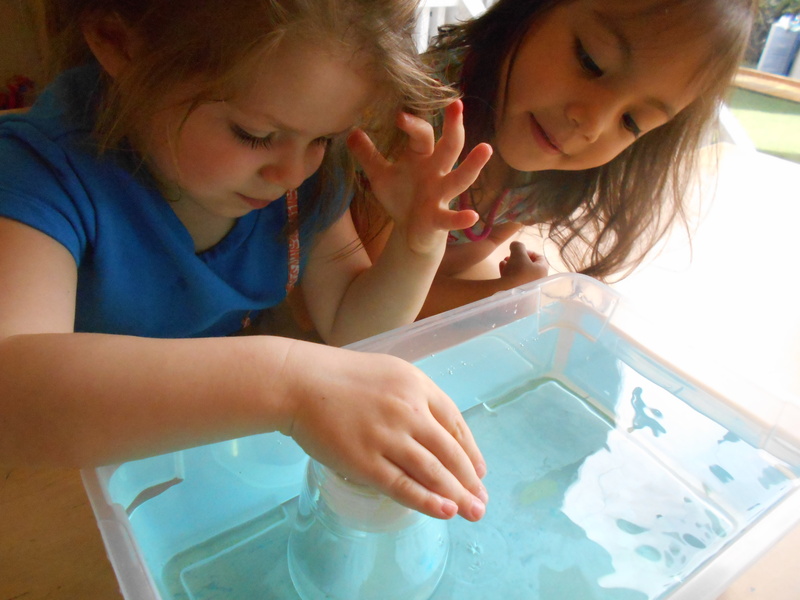 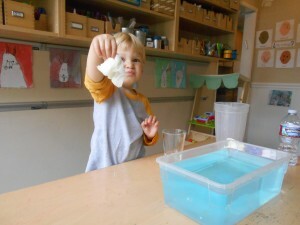 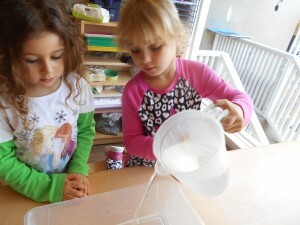 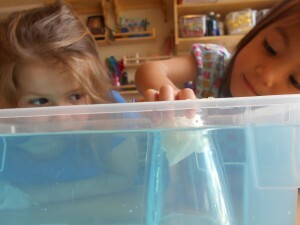 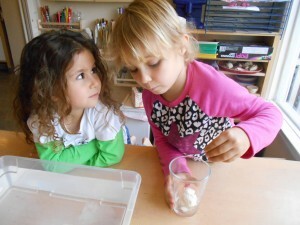 The children did a science experiment with a dry paper towel, a glass cup, and a tray filled up with water. The children filled up the tray first. 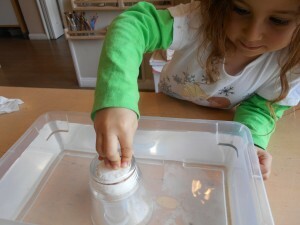 Then they all placed their paper inside the glass cup. 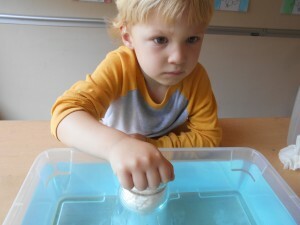 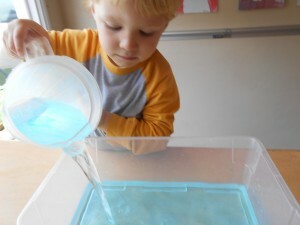 The children all predicted that if the cup and the towel would go on they tray that it would come out wet. 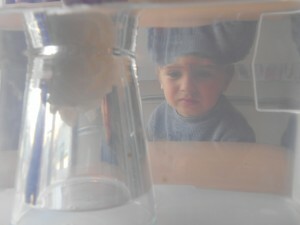 One of the children predicted that the glass would protect the towel so it would come out dry. 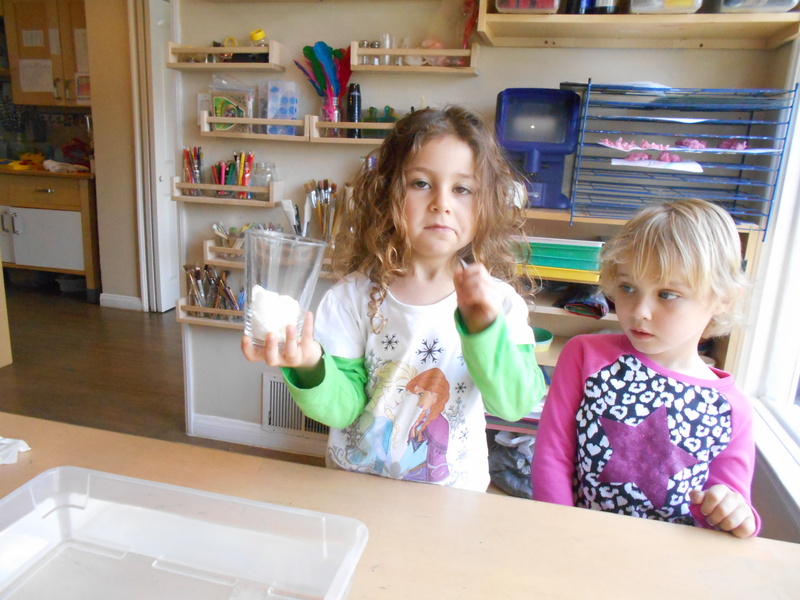 Each child put their cups upside down inside the tray. When they took the cup out they couldn’t believe that the towel came out dry, the children said its just like magic !